Learn more about how helicopters can benefit your agricultural operation in New Jersey. In today’s technology-centered world, everything happens quickly. Planting, spraying and managing crops the old-fashioned way on the ground is fast becoming outdated and inefficient. While certain aspects of agriculture will always have to be done by hand or through ground operations, aerial applications offers commercial and private farmers a wealth of options. Of course, many farmers have turned to traditional crop-dusting planes to maintain their crops for decades. 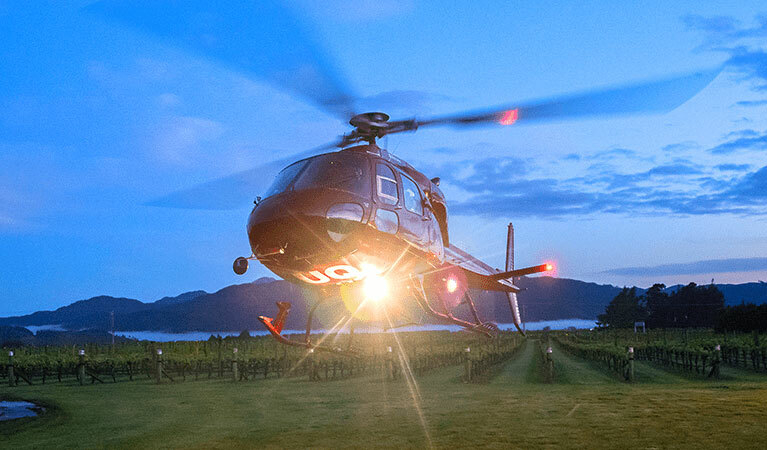 However, in recent years, helicopter spraying has proven to be more efficient and cost-effective when it comes to aerial applications, reaching a wider range of locales and providing better coverage. At FairLifts, Garden State farmers will have instant access to the best aerial application services in New Jersey from crop-dusting to pest control to seeding and more. New Jersey is of course known for its stunning coastline and beautiful beaches attracting visitors from all over the globe, as well as the spooky tales of the Jersey Devil wreaking havoc in the Pine Barrens. However, the Garden State has earned its nickname though a wealth of delicious fruit and vegetable crops along with its valuable greenhouse and nursery plants and flowers. New Jersey is a top producer of cranberries and blueberries, but also has a hand in the apples, strawberries and peaches folks in and outside of the state savor. It’s most valuable vegetable crops include asparagus, bell peppers, eggplant, endive, lettuce, spinach, cabbages, snap peas and corn. All of these prosperous crops make New Jersey ripe for aerial application services. Taking to the air to manage your commercial and private agricultural needs is economical and beneficial. With a diverse array of aerial application options by helicopter, New Jersey farmers and growers have access to numerous services from frost prevention to weed and pest control to watering and even seeding. Find out about all the helicopter spraying services available in the Garden State. Crop-dusting is an age-old term in the agricultural industry and addresses many key issues for farmers and growers. Fertilizer applications along with watering when Mother Nature doesn’t cooperate are essential elements in the growing process while fungicides keep mold and other fungi away from delicate plants. Seed spraying is a much more efficient option than ground planting. Aerial applications by helicopter takes crop-dusting to the next level. Many types of pests can do extensive damage to crops in New Jersey. Beetles and the larvae of moths and butterflies can be especially problematic. Proactive helicopter spraying keeps crop-damaging insects from gaining a foothold. Like other US locales, mosquitoes are an issue in the Garden State. These disease-carrying pests put a damper on many of the outdoor tourist activities NJ relies on. Regular aerial applications helps to keep the mosquito population in check. Farmers and gardeners understand how aggressive weeds can be. Weeds actually grow at a much faster rate than plants, taking away vital nutrients and sunlight. Just like with pests, proactive spraying through aerial applications prevents weeds and unwanted brush from overtaking plants and flowers. Applying herbicides through regular helicopter spraying is more advantageous than the traditional hand to plant approach. Frost can actually cause a great deal of damage to crops especially when it occurs in April and May. Frost prevention and treatment options for New Jersey farmers and growers is essential with the abundance of crops grown in the Garden State. Frost can severely impede and even kill plant cells, making prevention options a must for the agricultural industry in NJ. Keep unwanted pests and weeds away from your crops. 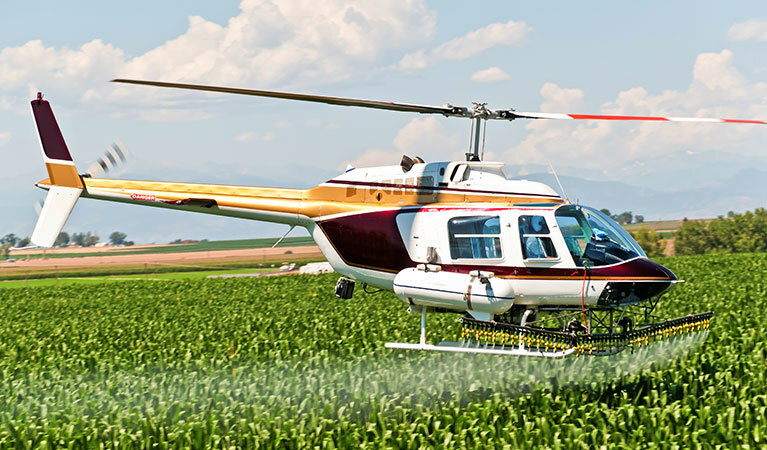 Keep the Garden State’s bountiful crops flourishing with convenient, effective helicopter spraying options. FairLifts can connect commercial and private farms with the best pilots and operators in the aerial application industry. Our seasoned staff is available by phone and and online 24/7 for free consultations, quotes or to answer questions about the wealth of aerial application services available.